How do you choose the right Landscape Designer? Choosing a landscape designer is an important decision for any homeowner. The right landscape designer can improve your outdoor enjoyment, grow your landscape into an aww-worthy sight, and even increase your home’s value. Experienced landscape designers have the education, background, experience and keen eye to be able to develop and seamlessly construct hardscape and softscape features in your backyard to look cohesive with the existing property. Thinking smarter instead of working harder is key to saving yourself headaches, time and money when it comes to planning and construction! But how can you tell which landscape designer is right for you, your family and your project? These telltale, yet avoidable signs should be enough to make you turn around and consider other options when choosing the right landscape designer. Do your research! Undeniably, the internet is here to stay, so you might as well use it. Research landscape designers in your area and pay extra attention to the quality of their website, their social media presence and their reviews. A quality designer will understand the importance of having a professional, beautiful website and overall user-friendly experience. This is the first look into the designer’s aesthetic and first chance to show off their portfolio and projects, so if their website is lackluster, chances are it will will reflect in their work. On the same side of the coin, reviews are ever so helpful when looking for the right designer. Reviews on websites like Houzz and Angie’s List are unsolicited, unbiased and especially honest. The proof is in the pudding, so if you read positive reviews, you know you can expect a pleasant experience, but if you read any negative reviews, take heed! When initially meeting with a professional, if they pull out a scratch piece of paper or try to sketch something out within the first few minutes of seeing your property, you have the right to be cautious. Cocktail napkin sketches should never be taken seriously when it comes to projects for your home. There are many things to take into consideration that a 5-minute sketch won’t be able to address. Does the property have drainage issues, sun angles that need to be blocked, what type of soil do you have and what does that mean for the plants that will be in your plan? A truly skilled landscape designer will take everything into consideration and have the proper software to design your backyard project in full detail and present your designs after much care and thought has been put into the process. Presenting your backyard transformation in 3D is the most realistic way to convey not only the look of your new backyard, but also the feelings associated with this new outdoor living space. Paper plans can get the point across, but 3D plans really drive it home! When taking on a renovation project, one of the worst feelings is when you are not being heard. This is your home after all, isn’t it? If you have the feeling that your needs are not being taken into consideration, chances are that is not the right company for you. Communication is imperative, and your landscape designer should be asking you questions to get to know you and what you want to see for your space. In the right scenario, your landscape designer will work with you to figure out how you want to feel in your new outdoor space, the features you would like integrated into your plan and be able to design everything in a way that works best for you and your family! Beauty and function should go hand-in-hand in every outdoor living space. Ask any prospective company about how they manage their projects and what processes they have in place to guarantee a positive outcome. If you sense hesitation on procedure explanations or you don’t get any straight answers, consider this to be a big red flag. Whether your backyard transformation is small, medium or large-scale, a tried and true management system should be in place to streamline every step along the way. An open line of communication between you and the company you hire should be in the forefront before any paperwork is inked. Upon signing a contract with a landscape designer, make sure that you don’t have any unanswered questions and you both have a clear understanding of what is expected and what will be done. Being able to feel comfortable with the landscape designer you hire, their design and management abilities and knowing that you can talk to them at any point to express concern or admiration will be one less weight on your shoulders. In retrospect, the landscape designer you choose for your project is just as important as the project itself! Being able to connect with your designer on both a personal and professional level can be the difference between an amazing or a not-so amazing experience. MasterPLAN Landscape Design believes in putting our clients and their family first. We care about the details and aspire to create beautiful and functional outdoor living spaces our clients can be proud of. By designing all of our backyard transformations in 3D, we do more than say, “Imagine this”, we will walk you through your new outdoor living space so you can get a real sense of the space and how it will function before the process sets into motion! MasterPLAN believes in providing an open and honest communication with our clients, which translates into creating a gathering place that they value and a trustworthy experience they can embrace. 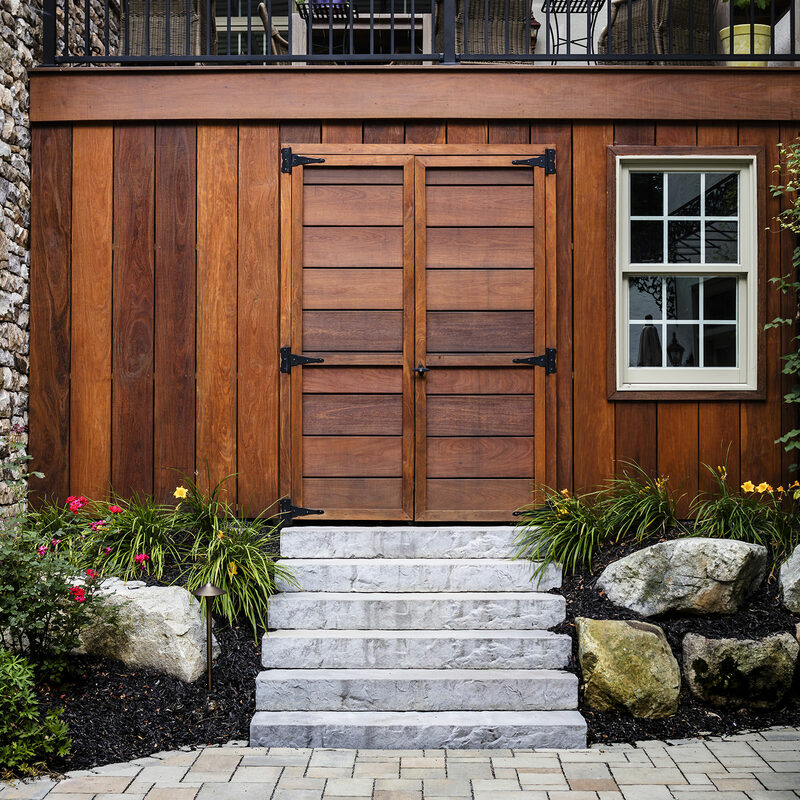 We take on all project management responsibilities with our exclusive “8 Steps to the Perfect Backyard” system, which greatly simplifies your backyard transformation process. You can rest assured that everything from design, construction documentation, scheduling, permits and inspections will be handled for you. We understand that you work hard, let us help to create an outdoor living space you can enjoy, away from the daily stresses. When you are ready to take the first step into turning your dream backyard into a reality, reach out to us at MasterPLAN. We would love to welcome you into the MasterPLAN family!